“Winter Vista Illumination” is an annual event held in Showa Kinen Park every December. This event will be held from 8th December to 25th December 2018. 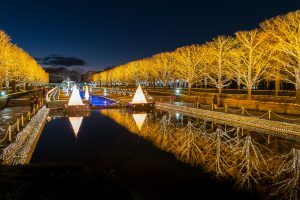 During the period, the opening hours of the Showa Kinen Park are extended, you can enjoy the illumination from the Tachikawa Gate to the Fureai Field. 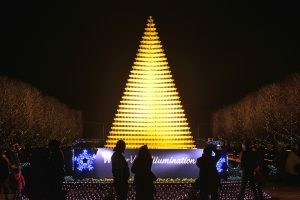 Popular “Champagne Glass Trees” using about 15,000 champagne glasses, the illumination of ginkgo trees, and the giant wreath of 2 meters in diameter, which is the perfect spot for photo, will appear. 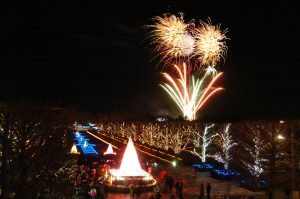 And from 22 to 25 December, fireworks will be launched for about 5 minutes from 19:00. 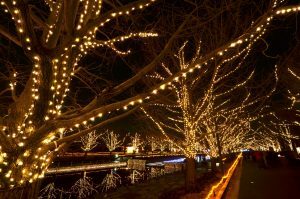 Please enjoy the winter fireworks as well as the illumination. *After 16:00, Tachikawa Gate and Tachikawa Gate Car Park only available. 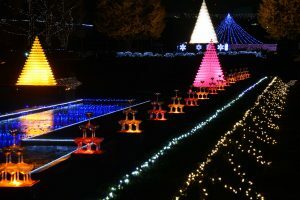 *Junior high school students and younger children are free.